If you have ever considered teaching your children at home, this book is for you. In 1975, armed with only a high school education, Joyce Swann made the decision to homeschool her children. Twenty-five years later all ten Swann children had received their master’s degrees by age sixteen, although none had ever been enrolled in a traditional classroom. 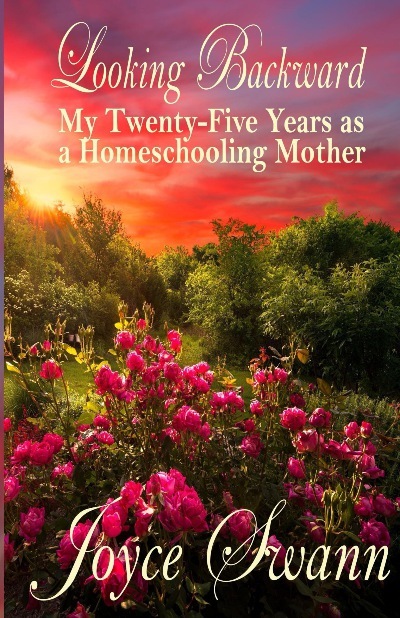 In this must-read for anyone considering homeschooling, Swann shares not only her teaching methods, tips, and advice, she also discusses the illnesses, financial difficulties, and lack of emotional support that made every day a challenge. Ultimately, however, it is her faith and God’s grace that kept Swann going when the obstacles seemed insurmountable. Click here to order in paperback. "I do not regret any of the difficulties that I personally endured because through each of them I was able to experience God in a way that I might never have under better circumstances. It is a sad truth that most of us do not experience God until we have a need in our own lives. If John had not lost his job and we had not gone through those thirteen agonizing years, I might never have known God as El Shaddai, the all-sufficient one. When everything was gone, I had to recognize that He and He alone is sufficient to meet all our needs. I discovered that whether those needs are physical, spiritual, or emotional, He is always the all-sufficient one. Desperate circumstances brought me face to face with Jehovah-Jireh, the Lord who provides. Whether I needed the money to pay school expenses or a plane ticket to see my sick mother, He worked miracles on my behalf. If money had not been a consideration, I would have sent the tuition to the school and bought the plane ticket without ever considering that everything that we have comes from the hand of the Lord who provides. Thus, I would never have experienced the joy of knowing that Jesus Christ not only sees my present circumstances, He looks ahead and makes provision years in advance for the day when those needs will occur. If Israel had not suffered the intussusception and I had not been run over by my own van, I might never have met Jehovah-Rophe, the Lord who heals. I have never doubted that only the healing power of the Lord Jesus Christ kept us both alive and returned us to perfect health. When John lost his job, we were cut off from nearly everyone we knew. People we thought were our friends quickly distanced themselves from us. One day we were sought after; the next we were avoided. That is when I met Jehovah-Shammah, the Lord who is there. He never deserts us, is never embarrassed by us, and never looks the other way. He is Immanuel, the God who is with us, always and forever." "An enjoyable, inspiring read, and I would recommend it to other homeschool moms." Tiffany Orthman Home Educating Family.